In this study, the wear characteristics and behaviors of both AISI304 and AISI316 austenitic stainless steels were evaluated under the different rotation speeds, using block-on-ring wear testing machine. From the microstructure analysis, at the first, the transition of strain induced-martensite was observed in wear-affected region of both AISI304 and AISI316. It is considered that the interfacial friction stress between test block and ring may trigger the phase transformation of meta-stable γ-fcc to ε/α′ martensite. Moreover, it is also observed that the amount of martensite increases with increasing rotation speed for both AISI304 and AISI316. The thickness of transformed martensite was deeper in AISI304, compared to AISI316 at all rotation speed. 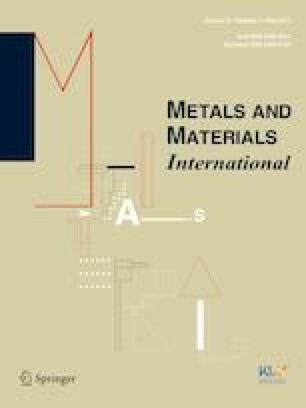 It can be explained by that the existence of molybdenum in AISI316 increases stacking fault energy, which can retard nucleation and growth of strain induced-martensite. Furthermore, reverse transformation was also detected at subsurface layer of both AISI304 and AISI316.